In the heart of Shirley Muilenburg, there was nothing that brought her greater joy than being surrounded by those she loved. Her strong faith and the love of family saw her through life’s greatest accomplishments and comforted her through the darkest of her days. Kind and compassionate, Shirley was dedicated in all she said and did, and in all ways, her love was unconditional. Gone but never to be forgotten, Shirley was a loving and dedicated wife, mother, grandmother, great-grandmother and friend to all who knew her. She will be deeply missed and lovingly remembered. The year 1940 introduced many new forms of entertainment for all to enjoy. The sounds of Glenn Miller and Bing Crosby filled the airwaves while some of the best movies, including The Grapes of Wrath made their debut. With World War II well underway, America’s involvement was inevitable, and the first peacetime draft was put into place. Amidst these ever changing times in the riverfront city of Grand Rapids, Michigan, Henry B. and Gertrude (Bouwcamp) Harmsen anticipated the birth of a new life in their lives and on October 9, 1940 they welcomed the birth of their little girl, Shirley Ann into their arms. 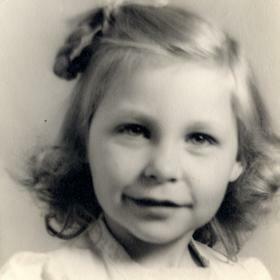 The youngest of seven children, Shirley was raised on the family farm on Leonard Street in Lamont, Michigan where her father ran a dairy and beef farm. Her mother remained at home as a homemaker raising young Shirley and her siblings, Ben, Florence, Jack, Harriet, Lois, and Ken. While growing up, Shirley had chores on the farm and also cleaned both of her grandparent’s homes, but she had plenty of adventures, too. She loved playing softball and always played the position of catcher, and she really loved hitting the “Dingers”, otherwise known as home runs. 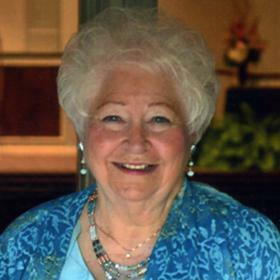 She attended Lamont Elementary School and Coopersville High School, having graduated with the Class of 1958. Following high school, she met the love of her life, Roger Muilenburg on a blind date. From the very beginning they were quite a match and made for a handsome couple. They continued to date for the next two years and deeply in love, they were happily married on November 4, 1960 at Alpine Avenue Christian Reformed Church in Grand Rapids. For a time the newlyweds rented an apartment in Grand Rapids. From there they bought a home on Sunset Hills NW, and in 1977 they purchased a home on Woodgate NW.  Throughout this time, Shirley and Roger’s love came to include the births of their five children. Shari came along in 1961, followed by Todd in 1963, and Kurt in 1964. Brad was born in 1966, and Beth completed their family in 1971. Shirley made a good home for Roger and her family. She worked at Keeler Brass, and as a cook at General Motors, 3rd Shift. Roger supported them with his work as a salesman for Sears. Their children attended Grandville Public Schools, and as devoted members of Standale Reformed Church, they attended church each Sunday as a family. They took vacations each year to visit family in Florida, and for several years during the summer they stayed at a small cottage on Gun Lake for fun-filled times. Shirley was always involved in the lives of her children and grandchildren, never missing a special day or sporting event. Through the years treasured memories were made and enjoyed as a family during the holidays and other special occasions. When it came to cooking, Shirley made the best . . . of everything! She was a wonderful cook and loved serving her delicious, big Sunday roast beef dinners complete with potatoes and the best gravy ever. Other family favorites included her goulash, chili, spaghetti, ham and meatloaf dinners, and a variety of homemade soups. She baked the most scrumptious apple, pumpkin, strawberry and pineapple torts. In her free time, Shirley loved to shop, anywhere, and anytime. She especially enjoyed visiting craft shows. Over the years she collected Precious Moments figurines, Beanie Babies and porcelain dolls, many of which she was given as gifts. As far as flowers went, Shirley loved them all and never really had a favorite. For a few years she was on a women’s bowling league at Lincoln Lanes, and on TV she could often be found watching The Young and the Restless in the afternoons. Shirley liked keeping up with current events and easily read the Grand Rapids Press from cover to cover. In addition to watching her favorite soap opera, she also took in the news each night on TV along with The Wheel of Fortune, and whenever a Billy Graham Crusade was on, Shirley was sure to watch it. Shirley was in her element when grandchildren came along. She felt blessed that each of her children lived with their families in West Michigan which gave her the opportunity to see them often. In 1985, Shirley and Roger moved to a year round home on Gun Lake in Wayland where they enjoyed many family get-togethers. They began attending Gun Lake Community Church and made many friends in the area. 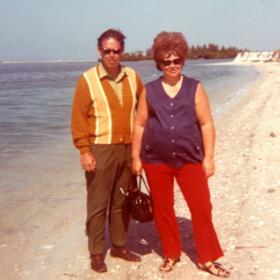 After Roger retired in 1985 following 35 years with Sears, the couple bought a condo in Cape Coral, Florida where they spent several months each winter. 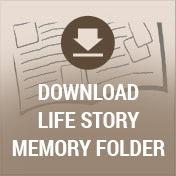 Although their children and grandkids came to visit after Roger passed away, Shirley missed her family and her time there began getting shorter and shorter. 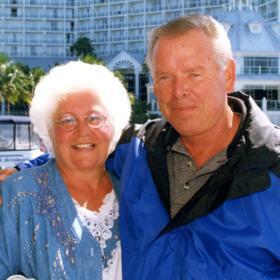 In 2006, Shirley’s beloved Roger died suddenly of an aneurysm on June 2. It was no less a devastating time and loss for Shirley, yet her strong faith and family ties sustained her. She kept herself busy with family and friends, and as always she remained a steadfast and devoted mother and grandmother. Always loving, she was a good listener, and always offered sound, wise advice. She loved her family dearly and typical of the selfless woman and mother she was, Shirley would do and did anything for them. Her family was the most important thing in her life, and she counted her blessings for them each and every day. 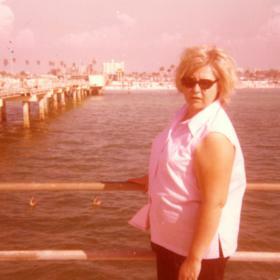 Although gone from love’s embrace, the heart of Shirley Muilenburg lives on in the love and memories she leaves behind. Shirley Ann Muilenburg (Harmsen), aged 77 of Wayland, MI, passed away on Tuesday, May 8, 2018 in Cape Coral, FL. She was preceded in death by her husband, Roger Muilenburg, and by her son-in-law, Patrick Coughlin. She is survived by her children, Shari (Steve) Raap, Todd (Mary Ellen) Muilenburg, Kurt (Renee) Muilenburg, Brad Muilenburg, Beth Coughlin; 16 grandchildren and 14 great-grandchildren; her mother-in-law, Bernice Muilenburg; her sister, Lois Pritchard; sisters-in-law and brother-in-law, Nancy Harmsen, Lois Harmsen, Dave (Joyce) Muilenburg; many nieces, nephews and friends. A service to celebrate Shirley’s life will be held Tuesday, May 15, 2018, 11:00 am at Standale Reformed Church, 202 Cummings Ave. NW. Burial in Rosedale Memorial Park Cemetery. Relatives and friends may meet her family at Heritage Lifestory Funeral Home Monday, May 14, 6-9 pm and again at the church on Tuesday from 10:00 am until the service begins at 11:00 am. Contributions in her memory may be made to the American Diabetes Association. To read more about Shirley’s life, to leave your own memory of her and to sign her online guest book, please visit her web page at www.lifestorynet.com.